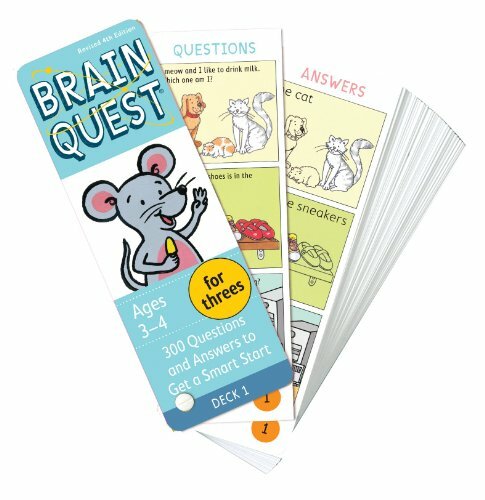 Read honest review of Brain quest cards for children by real moms. Check out everything you need to know about the cards and whether you should spend money on buying brain quest cards for your kid. 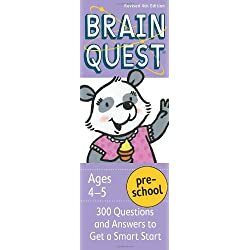 Hello friends, today in this article I am going to share my reviews regarding the game Brain Quest which I recently bought for my 3 year old kid. I really liked the game so thought of sharing my reviews so other parents can be benefitted too. You all might have heard about this game Brain Quest cards for kids. Some of you may have bought it and others may be thinking or planning to buy this game. So today we will discuss about the game and will talk about it step by step. 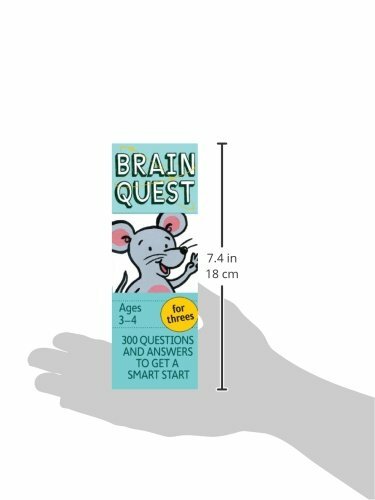 What age is Brain Quest cards useful for ? What do Brain Quest cards contain ? 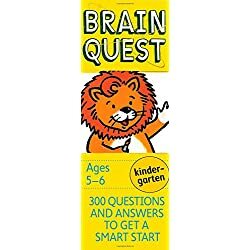 Where can I buy Brain Quest cards ? So let’s start with why I bought this game. I had heard many good reviews about the game and was planning to buy this game for my kid for quite some time. But was taking time as this game is a little expensive. Then one day I finally decided to give it a try, because my kid has a very curious mind. He always keeps on asking me questions and I like an answering machine keep on answering his questions :-). So thinking that my kid will like this game and would love to play with it, I finally bought it. The game starts with “A Guide for Parents”. The guide contains How you should play the game with your kid ? And how your kid will be benefited if you play this game with your kid. The game has few suggestions for getting the most out of brain quest for kids. I found this guide quite useful and thus my suggestion is go through these points and guide before starting to play this game with your kid. It will help you to play in a better way and make the most out of these cards. This game comes for various ages like 2-3 years old, 3-4 years old, 4-5 years old and so on. So pick up that cards suitable to your kids age. It has two sets or we can say two decks, Deck 1 and Deck 2. Each deck has a total of 150 questions (front and back side). Each deck contains multiple cards joined at bottom and each card has 3 questions followed by answer card. The quality and printing of cards is good and quite durable. All the cards in deck 1 and deck 2 are pinned together so to keep them the cards at one place is not a task. Yes, with kids around sometimes it becomes very difficult to keep the things together at one place. So you don’t have to spend time to collect the cards and stack them in a correct order. Thus These cards can be easily managed. And to be honest I loved this part about the game. The level of questions is not too high. If you keep doing various different activities with your kid your kid can easily solve the questions. Thus,when they can answer the questions it motivates them and boosts their confidence level and they love to play the game. If we talk about the type of questions they are neither technical nor general knowledge questions instead they are about the colours, opposites, identification of various objects, identification of work, showing in pictures etc. This game also helps your kid in language development and vocabulary improvement. When you are playing this game with your kid you can take the opportunity of discussing various other aspects related to questions,. At the same time your kid may ask various other questions related or unrelated to the pictures shown in game. So, I think my job is done here and this game worked a lot for me and my kid. This game will help you understand the areas your kid is good in and areas of improvements as well. At the same time you will be able to understand how much your kid is comfortable with the language. The game is quite compact and really very easy to carry. So if you are travelling with your kid you can easily carry this in your bag and can keep your kid occupied. At last, if we talk about the pricing, you may find this game a little pricey. But I would say it’s worth of its money. Over all its a good toy. And thus my suggestion is go for it and spend happy time with your kids. Over all Brain Quest Cards for kids is an excellent Toy. 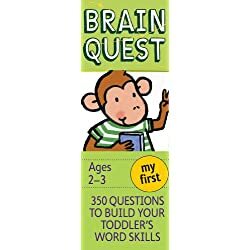 It worked really well for me and my kid who is full of questions 🙂 ..
Do tell me if you have any toy from Brain quest and what is your input on it using comments below? Did you like this Brain Quest toy review ? Do you have a brand of toy that your kid loves. Do let us know using comments below. We would love to hear from you.